I have been writing about our experiences with eczema (or more specifically Atopic Dermatitis) for almost 2 years now. I have written about the various treatments we have tried in various posts but I realised that I have not really written in details and in a comprehensive manner about the first, second line and third line treatments that are usually used to treat eczema. In this post I have written about the regular medical treatment that is used once the moisturisers alone are not able to control the inflammation. Moisturisers are an essential part of the treatment for eczema and works very well in mild forms but may not be sufficient to bring the eczema under control once the skin becomes red and inflamed in moderate to severe eczema. I have myself been confused at times with the myriad topical, steroidal and non steroidal creams that are prescribed by the doctors at various points in time. Then there are also the oral steroid medications and different immunosuppressants and phototherapy treatment that we have used to control flare ups. I believe it would help a lot of parents (and those adults suffering from eczema) if they had some idea about the basics of the different types of treatments and medications that they may be using on their child or even on themselves. It would definitely help in controlling and reducing the side effects that some of these strong medications can have on a person if not used properly. Topical corticosteroids are prescribed by the doctor/dermatologist when the skin becomes red and inflamed and the eczema does not clear up in spite of maintaining a healthy and regular bathing and moisturising routine. The topical corticosteroids range from very mild to very potent and you should be very careful in following the doctor’s instructions in using the same for your child both in terms of quantity and duration. This is especially true for young children and babies. In any case, the topical corticosteroids are prescribed only when the risks from eczema far outweigh the risks from the side effects of using these medicines. When a child suffering from eczema is unable to sleep at night due to incessant itching and thus starts affecting daily life at school and home, there is a risk of infection due to the cuts and inflamed skin, it is wise to use steroid creams/ointments as per the doctor’s advice till the time the rashes have gone. Potent to highly potent– Steroidal creams like Betamethasone dipropionate and Halobetasol propionate are at the potent end of the corticosteroidal creams/ointment. In India we have brands like Fucibet (which also includes fucidic acid which is an antibacterial medication) and Halovate which include these steroids respectively. You should also know there is an overlap in these topical medications since they are usually available in both cream and ointment forms and the potency for the same dosage will differ based on the form. The cream form has roughly half water and half oil, they spread easily, are well absorbed and usually wash off with water. Ointments on the other had are about 80% oil and 20% water and are thus “occlusive” which means they trap moisture and help in better absorption of the main component. Being occlusive, an ointment will allow the medication to get absorbed much more completely than a cream and hence are more potent at the same dosage as a cream. Topical corticosteroids should be used in a step up manner in terms of increasing potency starting from a low potency and only moving up if required. Usually the doctor will prescribe the milder ones like desonide cream (brand name- Desowen) and only graduate to a stronger medication like Fucibet if required later on. Similarly, once the rashes have been brought under control, one should use the step down method both in terms of potency as well as frequency as per the doctor’s instructions. As mentioned earlier, these medications should only be applied on affected areas and not as a moisturiser. However, sometimes the rashes may be quite widespread all over the body. In that case, the doctor may prescribe a 1:4 ratio of a mild potency steroid like desowen to an emollient like cetraban which is then mixed thoroughly and applied all over the affected areas. Side effects from these steroidal creams are varied and depends on the age of the person, the frequency of application, the potency of the drug amongst other factors. The thinning of the skin or skin atrophy is one such side effect which can take place if potent to highly potent steroidal creams are applied too frequently or without any break. However, one can avoid this and other side effects by following the doctor’s instructions for using this treatment and thus using this treatment as and when required, in the required quantity and for an appropriate duration. The other thing to keep in mind that in case of excessive scratching due constant itchiness in case of under medication, the skin tends to become thick and discoloured. Thus the treatment needs to be carried out in a timely manner under the supervision of a doctor and the instructions should be properly followed to minimise the side effects. Another type of topical treatment available for eczema is the group of medications known as Calcineurin inhibitors. These are non-steroidal immunomodulators and are of 2 types- pimecrolimus 1% (Pacroma and Elidel) and tacrolimus 0.3% (Protopic). These topical medications work by suppressing the immune system and are usually prescribed to children over 2 years of age and adults and are recommended for use as a second line treatment for eczema. As with steroidal medications, these type of immunomodulators should also be applied only when prescribed by the doctor and for the recommended duration of time. Even though it does not have the side effects like thinning of the skin which is associated with steroidal treatments, one still has to be cautious while using these medications since they are relatively new medications and not much is known about their long term usage. There is a possible risk of skin cancer only in the long run after prolonged usage but it is still advisable to apply these creams at night to avoid sunlight exposure. These medications are also prescribed for eczema on the face (unlike topical steroids) and are prescribed for moderate to severe eczema only when the combination of topical steroids and emollients have not been successful. Another treatment that is prescribed once the topical treatments have not really worked for a person in controlling the eczema is phototherapy. It is used as a safer alternative to avoid using the third line treatments of the powerful immunosuppressive medications like azathioprine, methotrexate and cyclosporine. In this treatment light or a particular narrow band of Ultraviolet rays are used to treat the eczema which is beneficial for skin diseases. 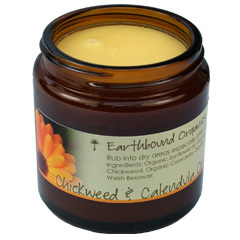 It can be used both for localised as well as general areas of the skin covering the entire body. This treatment works effectively for some people but not for everyone and usually takes about 1 to 2 months to show the desire results. If this treatment is effective then it can effectively put the eczema in remission for a while at least. It may also minimise the usage of topical steroids and there its side effects. Phototherapy is carried out in a special booth filled with UV rays for general treatment of eczema all over the body and hand-held devices for treatment of specific areas like hands, ankles etc. Nowadays, a high intensity phototherapy treatment is available in the form of a laser called Excimer. It is much more powerful than the regular phototherapy and emits Ultraviolet rays of a particular frequency which is used to treat different skin conditions like eczema, psoriasis etc. It is given in the form of a hand-held gadget and takes much less time than a regular phototherapy due to the high intensity of the rays and is more useful for treatment for localised areas of the body. However, one needs to be careful in protecting the eyes when undergoing this treatment. The risks associated with prolonged treatment are skin burns, increased ageing and increased risk of skin cancer. Like any other such treatment this has to be carried out under the supervision of a medical professional and all the instructions need to be followed carefully. (I have written about our experience with phototherapy in my blog post https://eczema-anindianperspective.com/2013/10/17/when-the-going-gets-tough-part-1/). 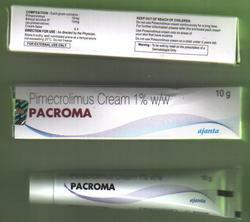 The third line of treatment for eczema is the use of systemic medications like oral steroids. Prednisone is one of the most commonly used oral steroids given in cases of severe eczema where an immediate result is required and is given under strict supervision of the doctor. It is given as a daily dose starting with a high dosage and then is slowly tapered down once the eczema is under control. Oral steroids work by suppressing the immune system and helps in controlling the overactive immune system in the case of a person suffering from eczema. But this also makes it possible for the person to catch infections easily due to a weakened immune system and hence has to be monitored at all times. Also, in the case of a child, oral steroids may slow down growth and development and hence again one needs to be very careful. There are other side effects as well which can be minimised by following instructions carefully and keeping a lookout for any symptoms which may arise on taking this medication. This is also done by carrying regular blood tests to determine adverse side effects if any. Due to the various side effects of this medication and its quick action, oral steroids are usually prescribed for short periods of time when results are needed fast. Bottomline, like any strong medications, one needs to take this under strict supervision and follow the doctor’s instructions about dosages and how to start and stop taking this medication. The other third line of systemic treatments include the immunosuppressive medications like azathioprine, cyclosporine and methotrexate. These are all very powerful medications and are given only when all other options have failed to yield the desired results. All of these medications work by suppressing the immune system and hence bring the eczema under control. But once again, due to the various side effects these medications have to be given under strict supervision of the doctor prescribing this and by following all the instructions carefully. Since eczema is a chronic condition and these medications may be required to be given for long periods of time, regular testing is required to ensure that there are no side effects. Azathioprine works by tweaking the growth of certain white blood cells which contribute to the inflammation associated with eczema and thus suppresses the immune system. It takes a while longer to show results than cyclosporine and may not suitable for acute flare ups.The main side effect of azathioprine is bone marrow suppression and that is why a specific test is carried out before prescribing this medication which is called the TPMT enzyme test. This test determines the suitability of the person by determining the ease by which the person is able to break down azathioprine in the normal way. However regular testing would be required to keep a track of any adverse effect on the immune system. This medication is taken orally in the form of tablets and on a daily basis in the prescribed dosage. We had a traumatic experience with this medication which was prescribed by a leading pediatric dermatologist in London for our then 7 year old daughter. In her case, even though she had a normal TPMT result, her body reacted disastrously to this medication and she suffered from bone marrow suppression and had to fight for her life. This was a one in a million kind of event and has never happened before to someone with normal TPMT levels. I have written about our experience in my post in 2013 and you can read about it at https://eczema-anindianperspective.com/2013/10/27/the-tough-get-going-part-2/. Cyclosporine is another systemic immunosuppressant used to bring severe eczema under control and works by specifically blocking an important pathway in the immune system, and has different side effects than steroids. It is prescribed in low doses for eczema under strict supervision and once the eczema is under control, the medication is tapered off. One of the main risks associated with this medication is damage to the kidney especially with increased dosage and duration of medication and hence regular tests would be required to monitor the kidney activity. This medication has to be taken orally on a daily basis as per the prescribed dosage. (I have written more about our experience of dealing with cyclosporine and azathioprine medications in my blog post where I have compared both at https://eczema-anindianperspective.com/2014/02/10/azathioprine-and-cyclopsorin-an-overview-of-two-immunosuppressive-medicines-used-to-control-my-daughters-eczema-from-a-parents-point-of-view/). Methotrexate is another systemic immunosuppressant which is used mainly in treatment for psoriasis and different types of arthritis. It is also given in low doses in cases of severe eczema and usually takes longer to work than cyclosporine. It has anti inflammatory properties and works by altering the body’s use of folic acid (a vitamin) which is needed for cell growth. Thus a folic acid supplement is a must on a daily basis for those taking this medication. This medication is taken once a week in the form of tablets. This dosage may also be split up into 2 doses taken within 24 hours to minimise any nausea that may occur. One of the main possible side effects of this medication is again adverse effects on the immune system especially on the white blood cells (which fight infection) and platelets (which help stop bleeding). Thus regular blood tests are required to keep a look out for any adverse side effects. Sometimes we don’t have a choice as far as giving strong medications to our child is concerned when the child is suffering from a severe chronic condition which adversely affects daily living. Of course we would prefer to find some alternative which is much safer and without any of the side effects that I have mentioned above. As of now we have not managed to bring our daughter’s eczema into remission and she needs constant medication in order to live a relatively normal life. Things can also go horribly wrong like it did in our case in spite the very best of intentions. We have been very lucky and have learned to take this in our stride and be more vigilant in the future since our daughter still requires immunosuppressants to keep her severe eczema under control. This has not stopped us from looking for other options and neither should you. As one wise person had said, it does not matter how slowly you go as long as you do not stop. I am publishing an updated my article on ecofriendly and natural alternatives for laundry and cleaning needs at home. It is a primer for those of you who are looking for eco friendly and natural alternatives for a cleaner and greener home. I find that it is important for me to highlight the fact that there are harmless, natural, environment friendly laundry, dish washing, and cleaning alternatives which are available to us. In this particular post I have focused on the laundry and household cleaning agents that we use (In subsequent articles I would be focusing on the impact of our food habits and diet). While most of us do all that we can as far as moisturizers and bathing products are concerned for children who have eczema, some of us are not aware that the regular dish washing, cleaning and laundry products used in a household can also have a large and harmful effect on sensitive skin and allergy/eczema prone children (and adults). In India especially, eczema and other allergies are a recent phenomenon as compared to the West. While I was happy using regular detergents and cleaning products for my household cleaning and laundry needs, I was particularly happy using highly fragrances and foaming cleaning/laundry detergents and thought that all products which were labelled as “child/baby friendly” and “gentle on the skin/clothes” actually were child friendly and gentle on the skin. But after a bit of research I was quite surprised to find that quite a few of the products that I had been using all my adult life were cumulatively doing more harm than good to my entire family and this was especially true for my daughter who has severe eczema. That is when I started looking for alternatives and was pleasantly surprised to find out that there are much better, natural, harmless and environment friendly options which might also be much more economical for regular use. Now, over the past couple of years in my quest to manage my daughter’s severe eczema, I have made a lot of changes in our lifestyle which includes skincare products, laundry products, dish washing products as well as other household cleaning products. Since I am sharing my own personal experience in using these products, I have restricted this post to products which are available to Indian consumers only. Also, please note that I am going by the information provided by the manufacturers as far as the ingredients are concerned, certifications as mentioned and in some cases I have taken into account the product reviews by other users. All that foams is not soap! Soaps and detergents are two different things but are often mistaken to be the same. While soaps are traditionally made from fats and oils and have been around for centuries, detergents are usually of synthetic origin and is a much more recent phenomenon. Detergents react less to minerals (found in hard water) than soap and hence is now the preferred choice for most. Sulphates are surfactants which are used in a wide range of products especially laundry and dishwashing detergents in order to reduce the surface tension of water thereby improving its ability to wet things and remove the dirt. Other products where Sulphates are found are bathing products like shampoos, shower gels etc, toothpastes and even baby care products and it provides the “foam” that we are so used to. Nowadays most of the skincare and laundry detergents usually contain the gentler Sodium Laureth Sulphate (SLES) plus a host of other chemical fragrances and preservatives and not the much harsher surfactant Sodium Lauryl Sulphate (SLS). But even SLES is a chemical which is harmful for sensitive skin and it is just one of the many chemicals which are present in any cleaning/skincare/laundry products. The other common chemicals are preservatives like Parabens (Methyl, propyl, isbotyl to name a few) and Methylisothiazolinone fragrances which are mostly made of synthetic chemicals and synthetic colours, found in many baby and child care products. Many organic and natural products have preservatives like Parabens and foaming agents like SLES unless stated otherwise. Hence it is imperative while buying any such product to check the ingredients listed carefully no matter what the label says in the front. The good thing is that there are detergents (laundry and cleaning purposes) which are available to us today which use natural ingredients and are also fragrance free. Soapnuts (or reetha as it is known in India) is actually not a nut but a dried berry or fruit which is highly effective in powder and liquid form and can be used to clean clothes, jewellery, dishes, hair and other household items. It is found mostly in India and Nepal and was used extensively in India to wash clothes and hair long before liquid detergents and shampoos took over. The saponin which is found in the fleshy part of the soapnut is a 100 % natural hypoallergenic surfactant which is believed to have antibacterial and antifungal properties as well. Soapnuts can be used for cleaning pretty much anything and is the only cleaning product which is completely natural. Any other product which is labelled ‘natural’ will contain at least some chemicals like preservatives, fragrances amongst others. The other important aspect of using soapnut is that it extremely convenient to use in washing machines (front and top loading) and dishwashers (in liquid form). We use soapnuts regularly as the main cleaning agent for all our clothes and white vinegar and essential oils (lemon is my favourite) as a fabric conditioner and to remove grease and add natural fragrance to the laundry. Apart from soapnuts products which are natural, biodegradable and convenient to use either by hand or in washing machines are as given below. Power Laundry, Liquid Laundry and Bio Laundry Bar from the Rustic Art brand: The main ingredients in these products are soda ash, natural neem soap powder, glycerine (for liquid laundry), non edible oils (for soap bar) and natural lemon extract. I use these products for my bed linen, towels, soft furnishings and other heavy materials, delicate clothes and woollens (Liquid laundry) and I use the Laundry bar for the tough stains. Bio-D from Dailydump.org: Bio-D is a bio detergent by dailydump.org (a brand of Bangalore-based PBK Waste Solutions Pvt Ltd) which is a biodegradable product made from palm oil. I have been using it as an alternative to the Bio Laundry bar from Rustic Art for the past year or so for the clothes which are handwashed. Another product which is relatively new and is available in India is Kyra Natural Detergent Powder which is made of organic soapnuts. I plan to use this in the near future. Dish washing detergents also use foaming agents, synthetic fragrances and other chemicals to make them extremely effective in cleaning grease and dirt. But if you are really interested in making a change for greener alternatives, there are other options available. Mix first 3 ingredients well in an air tight container. Add essential oil. Mix again. Fill your rinse aid compartment with undiluted white distilled vinegar. Use 1 tsp. detergent for average loads. White distilled vinegar can be thus be used along with lemon essential oil as a rinse aid thus eliminating the need for any artificial rinse aid products. Another option is to buy a scrub made of the combination of soapnuts, shikaki (dried fruits of the Acacia tree native to Asia) and lemon peel which is a completely natural, non toxic and ecofriendly option for dish-washing by hand like the one by dailydump.org. I have been able to find out about all the products mentioned earlier through a lot of research on this topic over the past few years. I have also managed to source these products in a few cases through the manufacturer’s own websites but more often than not through the various websites advocating a green, eco friendly and healthier way of life. These are websites which list organic foods, clothing, personal care, cleaning and other products. DailyDump.org : A comprehensive website which promotes green, eco friendly and sustainable lifestyle through composting and non toxic products for home and garden. This website has the Vanastree soapnut and shikaki scrub (manufactured by Dailydump) that I use for my dishwashing needs and the Bio- D biodegradable detergent for laundry purposes. They also have their own brand of soap-nuts (108 Soapy Nuts). Naturalmantra, Greenngood and naturallyyours.in: These are comprehensive websites which list organic foods, supplements, natural home care, personal care products etc and is very convenient to buy laundry and household cleaning products from. I use all of these websites from time to time for my house cleaning, laundry and other household and organic grocery requirements. I have compiled some of the easy and convenient ways in which you can use non toxic, natural alternatives for your household cleaning, laundry and dishwashing needs and their availability. I hope that this will encourage you to make your home a greener, eco friendly place for your family and friends. Please feel free to get in touch with me for any queries or if you have any suggestions on this topic. I have been meaning to put up a post of the resources and products (mostly natural formulations) that have proved beneficial in some way or the other in the past few years while treating my daughter’s eczema. These products have been recommended by other parents based on their experiences while treating their child’s eczema. I would like to mention that while my daughter is still on immunosuppressive medication to control her very severe eczema, some of them might prove to be extremely beneficial for your child like it has for many other children. This is obviously not an exhaustive list by any means and I have listed a few products that have come to my notice and a few other products which I use on my children. I have written earlier about moisturisers and creams but these products deserve a special mention. I have put down a few completely natural products which are not mainstream and are mostly formulated by parents of children with eczema after they tried out various mainstream creams and moisturisers but to no avail. Furthermore, all these products are free of steroids, Sulphates, parabens and other preservatives, artificial fragrances, petrochemicals and are made mostly from natural organic ingredients. These products have proven to be beneficial to many children and in some cases, parents have been able to substitute topical steroid creams and moisturisers with preservatives and other chemicals with these natural and organic products successfully. However, for mild to moderate eczema, you must use the steroid creams and medicines prescribed by the doctor to calm an infection or bad flare up for your child. But in the long-term if you can use a combination of natural moisturizer and other lifestyle and dietary changes to keep eczema successfully under control, that is the best situation one should work towards. I am still trying to figure out what is best for my daughter and how to manage her eczema without using steroids, immunosuppressant and other such powerful medicines and through our own journey it will really make me happy if I can help some other children and their families to cope with eczema. I have used the first 2 products and coconut oil on both my children. I have found the Purepotions cream to be very effective on extremely dry patches and the organic coconut oil is the main moisturiser for my daughter. Some of the other products have been recommended by other parents of children with eczema and/or adults with eczema who have found relief by using these products. I have also come across some of these products while continuing my search for products to help my daughter and others like her suffering from Atopic Dermatitis. However, you have to be careful before using the products for the first time on your child and should check the label to see if your child is allergic to any of the ingredients in any such products. Purepotions Intensive moisturising ointment– This natural salve was formulated in UK by a mother, Natalie Balmond, when she took matters into her own to find an alternative natural solution to alleviate her daughter’s suffering due to bleeding sores covering 90% of her body. It has Beeswax which acts as a natural antibacterial barrier protecting the skin from external irritants and locking moisture in as well as Hemp which is extremely rich in essential fatty acids which are often lacking in those with dry skin. One can find out more about this cream and order on their website (they deliver to India) – http://www.purepotions.biz/ and once can also purchase this ointment through other websites like http://www.everythingforeczema.com/skin-salvation.html. Baby and adult skin soother from the brand Emily Skin Soothers– Made by an acupuncturist for his daughter’s eczema, this balm contains only natural ingredients. It contains just three chinese herbs in a base of olive oil and beeswax. This product is available on the website http://www.eczemacompany.com/natural-eczema-cream/ and is shipped to India by this website. Organic Scratchy Balm and Organic Scratchy Bath/Body Oil by LJs Natural– These products were formulated by Lisa Johnson who had been suffering from severe eczema for a long time after a lot of research and experimentation. The combination of these products and complementary therapy including diet helped bring her eczema under control ever since. The balm is a blend of organic shea butter, avocado oil, evening primrose oil and may help provide relief from itching due to dry skin conditions in a completely natural way. The bath and body oil can be used on children since it is a blend of lavender and chamomile (which are great essential oils good for dry and damaged skin and are very relaxing if used before bed time). This product is now available for delivery to India after I contacted her last week. You can check out her website at http://www.lj-natural.com/my-story/. Coconut oil (Organic)– This moisturiser is something we have been using for quite a while now and it has proved to be very helpful especially during the times when my daughter’s skin is broken at places due to constant itching. It is an excellent emollient for not only coating the skin but penetrating it as well, unlike a mineral oil that only coats the skin. This is readily available in India from brands like Conscious Foods, Down to Earth, Kama etc. There are some specialised types of products available to help patients suffering from eczema cope with the aches and pains and sleepless nights associated with this skin condition and have to be used in combination to the regular medications and mositurisers. Amongst these, the most obvious and natural ones which help in reducing skin aggravation is the use of completely natural laundry cleaners. I have touched upon this topic in my earlier post – “Eczema- a change in lifestyle” particularly in relation to availability of these products in our country. Today I am writing about other products which have been specially formulated to help in reducing itchiness, increasing the comfort level and which might help in reducing the intensity and frequency of flare ups in some people. I have used The Tubifast Garments on my daughter when she still had mild eczema and was advised wet wrapping treatment by her dermatologist. I have also used the Dermasilk full sleeves roll neck t shirt on her and it helped to some extent to reduce her itching at times. In particular, the Dermasilk Elite Girl Brief has proved to be beneficial to my daughter and she wears it to school everyday. It has helped reduce the itching in her groin area to a large extent. Again, I have shortlisted most of these products based on the reviews and recommendations of other parents who have found these to be beneficial in some way or the other. There must be many more which have been developed and the good thing is that there are a whole host of products developed specifically to minimise discomfort and itching associated with Atopic Dermatitis and thus improving the overall quality of life for an eczema patient. Dermasilk Therapeutic Clothing– This is a line of clothing used in the treatment of various forms of dermatitis, eczema and allergic skin conditions and is made of a special, knitted medical grade silk (not regular silk material) by Espere Healthcare in the UK. One can read more about them on their website- http://www.dermasilk.co.uk/. They manufacture full sleeves roll neck T shirts, full length footless leggings, tubular sleeves (for elbows and knees) , underwear (for boys and girls), child gloves, short sleeves T shirt amongst others. I have used the long sleeves T shirt and full leggings for my daughter but intermittently due to various reasons and she was pretty comfortable wearing this at night. You can buy their products on the website- http://www.theallergyshop.com.au/dermasilk-kids/ since this website delivers to India. Tubifast Garments by Monlycke Healthcare– Tubifast Garments are specifically made to manage eczema using the Wet Wrapping Technique also called Wet Dressing Technique. They are found in various forms for children- gloves, leggings, full sleeves vests in all sizes. Apart from these, Tubifast Patch Wrap, is used to soothe and protect isolated patches of eczema, especially behind the knees or the elbow and comes in pairs. One can read more about them on their website- http://www.molnlycke.com/patient/en/Products/Wound-care-products/Tubifast-Garments/. The garments can be ordered at the website- http://www.theallergyshop.com.au/dermasilk-kids/ and they deliver to India as well. Scratch Me Nots– This is a website where once again a mother, Andrea, developed a product looking for a way to stop her daughter from scratching all the time due to her eczema and wanted to stop the itch- scratch cycle. She then eventually figured out how to bring her eczema under control once her daughter stopped scratching and thereafter they could sleep at nights and decrease the visits to the doctors and the medications. She has developed ScratchMeNot Flip Mittens, ScratchMeNot Flip Mitten Body, Bamboo Bubby Bag, ScratchMeNot Mitten Sleeves all designed for babies and children upto 6 years of age to stop their scratching especially at night. These products are made with an unique blend of bamboo viscose, organic cotton & lycra and one can buy their products on the website- http://www.eczemacompany.com/scratchmenot-flip-mitten-sleeve-formerly-classic/ or the company website- http://www.scratchmenot.com/view-all/. Skin to Skin biofunctional clothing – These products were developed by a dermatologist especially for babies, children and adults with atopic skin conditions like eczema. These are made from 70% pure cotton and 20% brown algae (seaweed) which has been bonded with silver particles giving the remaining 10%. According to the company, the seaweed extract has natural properties that soothes and protects against itchiness and the silver adds antiseptic properties, drastically reducing the growth of any potentially harmful bacteria on the skin. The products available are boxer shorts for girls/boys, long sleeves and short sleeves Tshirts, socks and leggings. One can buy these products at http://www.everythingforeczema.com/skin-to-skin.html (they deliver to India) and their website is http://uk.skintoskin.eu/ incase you need further information. The other aspect of managing eczema that keeps coming up again and again from other parents who have successfully brought their child’s eczema under control and others who have been able to manage their own eczema is through their diet. This is something which my husband and I have been contemplating for some time for our daughter but have not been able to implement by ourselves. For a child, a well-balanced nutritional diet is critical for growth and well being and this is even more true when the child is on a restrictive diet due to eczema, allergies etc. Fortunately, I came to know of a naturopath based in Mumbai recently and we have approached him to help us streamline Aiyana’s diet to help us to possibly decrease her dependency on medications which keeps her eczema under control currently. Even though no doctor will really recommend a change in the diet for eczema unless it directly affects a person due to his or her allergies, more and more people with severe eczema are going down this path especially when their dependency on powerful medicines with equally powerful side effects becomes too great. Hence the role of naturopaths, natural formulations and home remedies in chronic conditions like eczema. But you must take the same precautions that you would take before giving any mainstream medicines to your child by finding out about the impact of dietary changes, side effects of any supplements given, regular monitoring required etc. Thus even in the case of managing your child’s eczema through changes in the diet and supplements, you should be clear about why you are eliminating some foods while keeping or even increasing others and not just follow all the recommendations blindly. For a child, a well-balanced diet is very important for growth and the dietary changes should take into account protein, calcium requirements of a growing child amongst other things. On this front, after quite a bit of research on the resources available on diet and eczema, I have come across a book called “The Eczema Diet” by an Australian nutritionist Karen Fisher. Twelve years ago Karen’s daughter developed eczema soon after she was born. By the age of two, her daughter’s eczema had become so severe that Karen decided it was time to find her own solution. Karen successfully controlled her daughter’s severe eczema by formulating a diet plan for her daughter. This book is based on a decade of extensive research of the causes of eczema by Karen Fischer. It has helped a lot of people to bring their eczema under control and has also helped a lot of parents to manage their child’s eczema in a much more natural way. I had ordered this book on http://www.theallergyshop.com.au/the-eczema-diet-by-karen-fischer/. This book has recently been delivered to me and I am still going through the same. So far I have read about how it works, the top eczema safe foods as well as the ones which trigger eczema. In case you have already taken help of this book and tried this diet on yourself or your child, I would be really happy to hear from you. Many of you would have already read my last post recounting our nightmarish experience as parents where our daughter went through “severe neutropenia” as a result of “myelosuppression” (where her bone marrow had effectively shut down due to an immunosuppressant given to control her severe eczema). Yet, we have managed to pull through after a harrowing time earlier this year and since then things have come back to normal (well almost).I have mentioned briefly in my previous post about some of the measures I have taken at home and the changes in our lifestyle to ensure that no stone is unturned. I have been inspired by many parents who shared their experiences through their blogs, websites, forums, support groups and other social networks. The first thing is that there might be no “one” particular thing or action that will help you to control your child’s eczema. It is usually a combination of things like regular moisturizing, topical application of steroidal creams, oral medications in severe cases and other such factors. But many parents have also been able to control their child’s eczema (or at least improve) through some lifestyle changes. I have done the same for my child and though in my daughter’s case her eczema is quite severe and is managed through medications, I never give up hope that these measures might be helping her in some way or the other. In any case, I am quite willing to make whatever changes that are required to be one step closer to help Aiyana lead a comfortable life and I am sure you will do the same for your child if required. 1. I changed the laundry and dishwashing detergent for the entire household since that was the first thing most parents mentioned as a key trigger for flare up for eczema in many cases. Infact, last year, when Aiyana developed Erythroderma was the time when I changed the way we do our laundry. It was definitely difficult in the beginning to completely redo the way we do our laundry. I had to find out about product availability in India, their suitability to our climatic and water conditions and train my help to use these products. But through trial and error I have managed this effectively and for the past one year now I have completely eliminated synthetic detergents from my household and use only natural products to do the same. I wanted to find a natural cleanser free of most chemicals (especially SLS and SLES) and came across our very own traditional “reetha” used by our previous generations for laundry as well as bathing purposes. Luckily for me, soap nut (or reetha as it is called in hindi) is produced primarily in India and Nepal. The fruit contains saponins which is a natural surfactants (foaming agent) and have been used for thousands of years in Asia for washing. I thus started using soapnuts instead of regular and baby laundry detergent for all our clothes since no matter how “gentle” the detergent, they all contain “sulphates” as surfactants or foaming agents. Unlike other cleaning products which contain the harsher surfactant or foaming agent- Sodium Lauryl Sulphate (SLS), the laundry detergents usually contain the gentler version Sodium Lauryl Sulphate (SLES) and a host of other chemicals and preservatives. I have written about this in details in my earlier post -“Bath time! (And skin care routine for eczema)“. I buy a soapnut brand called 108 Soapnuts from a Bangalore based company called Daily Dump through their website. There are also several other websites like naturalmantra.com and greenngood.com amongst others which promote an eco-friendly and green way of life and stock this brand. As far as other household linen and delicate clothes are concerned I use various forms of a natural, SLS and SLES free laundry detergent made by a brand called “Rustic Art” . They have laundry powder products made of soda ash, lemon and neem extracts, bio degradable liquid laundry cleanser made of natural glycerin and bio degradable laundry bars made of non edible oils, lemon and neem. 2. I also changed my dishwashing detergent from the usual detergent based ones which contain sulphates and preservatives and other chemicals. I started using a powder made of shikakai, soapnut and dried lemon peels by the same brand Daily Dump and have been successfully using it to clean utensils by hand for more than a year. However, there are several other options to make one’s own dishwashing detergents by using natural ingredients like castile soap, vinegar, glycerin, borax (NOT boric acid), citric acid, baking soda, essential oils (for fragrance) amongst others. (There are quite a few blogs and websites dedicated to green living which have recipes to make on your own and a couple of examples are – http://www.rodalenews.com/homemade-dish-detergent and http://mymerrymessylife.com/2012/02/homemade-dishwashing-detergent-100-green-2.html). While I have not made dishwashing detergent at home yet, I have used an automatic dishwasher product free of phosphates, chlorine and other chemicals. It is a plant-based product which is fully biodegradable and is made by a company called Earth Friendly Products and is called Wave Auto Dishwasher Gel. I use it intermittently in my dishwasher as and when required (it is available on amazon websites in UK and US). These are some of the steps that I follow diligently at home and now these changes in our lifestyle have become second nature to me and my family. I believe that even if these measures do not directly and measurably improve my daughter’s eczema (at least in the short run) they do not harm her either. They are changes that I am willing to make and so have a lot of other concerned parents whose children suffer from allergies, eczema, asthma and other related conditions. It really helps to know what has worked for others and I keep myself updated about the way other parents try and make their homes and environment more green and healthy for their children and incorporate some of the measures from time to time. I hope that you might also find some of these useful and beneficial for your child in the long run as well. If nothing else it will open up a whole new world of eco-friendly and green living for you and your family like it has for me! Incase you have any suggestions or questions please do feel free to get in touch with me. Skincare is an integral part of the treatment for eczema. 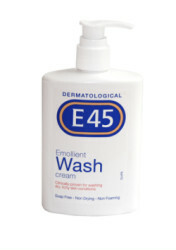 Dryness of skin due to eczema occurs since the skin is unable to retain moisture. As far as my daughter is concerned, her skin care routine during bath and before sleeping at night usually takes up to an hour at times. I also moisturize her in between as many times as required depending on the weather and skin condition. She gets quite frustrated at times since it’s quite elaborate, but there is really no choice. For someone who such severely dry skin we have to take all precautions to prevent her skin from drying out. 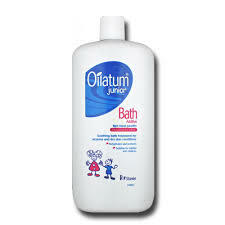 Soap substitutes and bath emollients are very useful to clean and moisturize skin prone to eczema. I use bath emollients like Hydromol/ Oilatum bath emollient or oatmeal powder to add to her bath water to provide additional moisture to her skin. SLS is a synthetic detergent (cleaning agent) and surfactant (which means it makes bubbles). It is used in industrial products such as car wash soap, engine degreasers and floor cleaners. But it is also used in a wide range of personal care products such as soaps, shampoos and toothpastes to create lather. While it is known to irritate skin when it comes into contact with products which have high doses of SLS, it can also damage skin of children with Atopic Dermatits. Usually, regular baby bath products contain Sodium Laureth Sulphate (SLES) which is gentler than SLS and is used to produce foam. Last year when Aiyana’s skin condition was not improving at all was the time I decided to cut out this group altogether. I found options like Calfornia Baby products which are not only free of SLS and SLES but are also free of preservatives like Parabens. Instead they use coconut derived amino acids in their lotions which act as preservatives but are actually antioxidants; gluconolactone (corn) (and) sodium benzoate, an approved preservative for organic products in their shampoos and body washes. I am sure there are other such products which are equally gentle on the skin but as of now I am sticking to this range since I really do not want to take any chances with her skin care. It has proven to be gentle enough to be used even when her skin was not in a very good condition. There are other less expensive options which I have used for Aiyana like Aveeno bath products (for e.g. Aveeno Skin Relief Body Wash); Oilatum bath emollient; Hydromol bath emollient and E45 cream and emollient. These have also worked well for her in the past and I still use a few of them (like Oilatum and E45) off and on both my children depending on their availability and skin condition. The paraffin based bath oils and creamy washes are good options in the summer months in a humid climate in our country. I have used the ointment form for cleansing (Epaderm and Hydromol ointments which are emollients and cleansers- all in one) a few times for my daughter when her skin had become extremely dry during the winter months. But I suppose for most children the bath oils and creamy washes should do the trick. Emollients are found in various forms like creams, lotions and oils and are essentially used to moisturize dry skin. I have already mentioned in details the moisturizing routine in my earlier post “Moisturizers and Eczema”. There are many products from brands like Exomega, Cetaphil, Avene, Hope’s Relief Cream. I have tried various products at different points in time depending on her skin condition and availability. But the most important thing is to quickly seal in the moisture after bath while the skin is still moist after being patted dry. Also, when the weather is hot and moist (mostly the case in Mumbai), I go lighter, meaning I use creams and lotions (if it’s very hot and humid lotions work well during the day); when it’s cool and dry I go heavier, meaning I use ointments or creams to provide better moisturization for my daughter. I hope this article helps in giving you some basic pointers on the skin care routine that is so necessary for children (or even adults) with eczema to keep their skin healthy and their lives as normal and comfortable as possible. Please feel free to share your experiences and write to me with your questions if any!